It is a therapeutic complete food diet for dogs and is suitable for dogs whose allergic reaction is reflected on the skin or in fur growth. With selected protein sources and a high content of essential fatty acids, this food can support a healthy coat and healthy skin. High content of essential fatty acids. Corn, poultry meal, rice, millet, linseed, poultry fat, protein hydrolyzate, egg powder, fish oil, chicory, monocalcium phosphate, safflower oil, sodium chloride as sea salt, silica, potassium chloride, yucca Shidigera. Nutritional additives: Vitamin A 15,000IU, vitamin D3 1,200IU, vitamin E 350mg, vitamin C 70mg, vitamin B1 10mg, vitamin B2 11mg, vitamin B6 8mg, vitamin B12 130mcg, biotin 650mcg, nicotinic acid 45mg, pantothenic acid 25mg, choline - 1,450mg, copper (as copper (II) sulfate pentahydrate) 10mg. Technological additives: With Antioxidants (Tocopherol-rich extracts of natural origin, propyl gallate). The recommended duration for Dr.Clauder‘s FSD is up to 2 months. 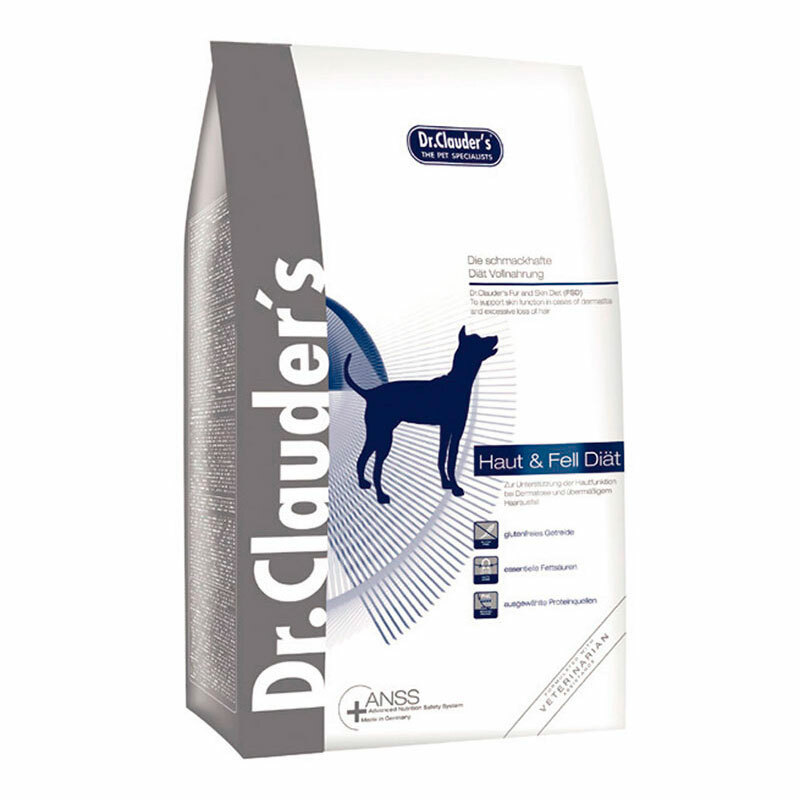 Dr.Clauder‘s FSD is a therapeutic complete food diet for dogs which can be fed easily, when your dog tolerates the diet well. It is recommended to seek the advice of a veterinarian prior to feeding.